So how do you keep up with a complex and ambitious project like ImpleMentAll? You follow us on Twitter! We tweet very often to let our followers know whats going on in the project, what we're thinking, and what we aim to achieve. 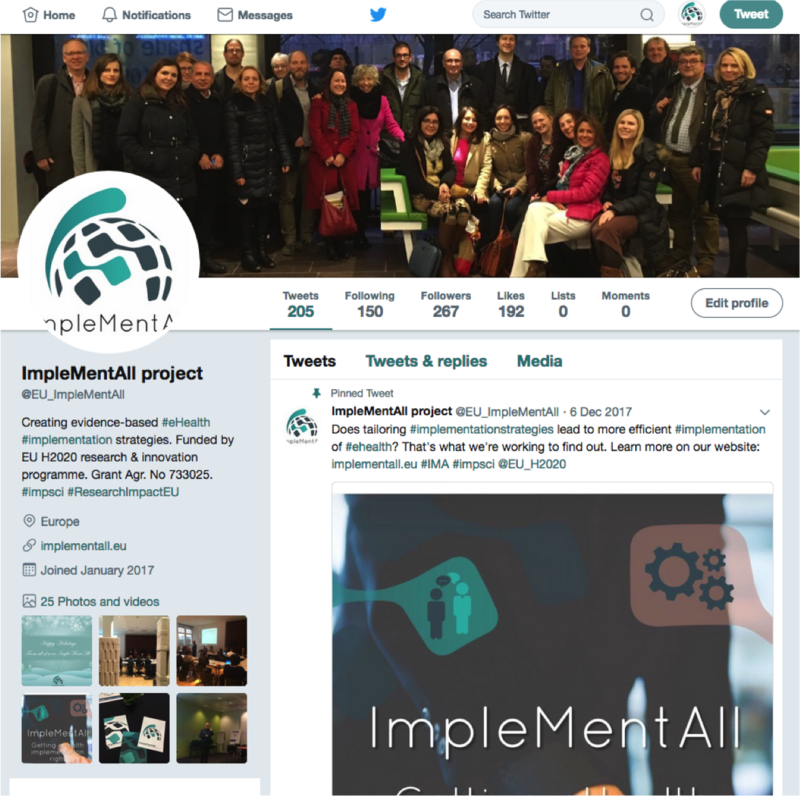 This happens from our official account @EU_ImpleMentAll, but also from the many dedicated individuals and organisations participating in the project. @aetzelmueller, @psikiatri, and @drDooz for news from the pilot sites. If you have any questions or specific interest in our project, we'd love for you to reach out to us, either through Twitter or the contact page here on our website.